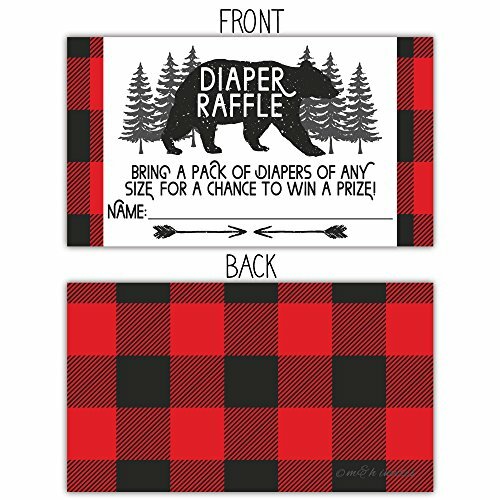 Cute diaper raffle tickets to include in with your invitations and/or have some at the shower to hand out to guests for each package of diapers they bring! Printed on Premium Matte Card Stock making them easy to write with many pen types. Card are 3.5″ by 2″ in size. 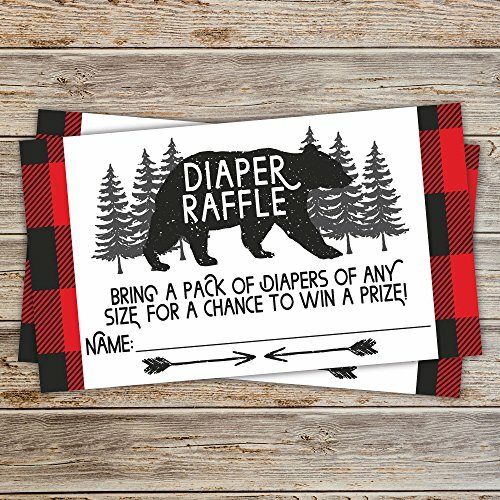 Hosting a diaper raffle is a fun way to get guests involved and help the new mom-to-be with extra much needed diapers!50 Lumberjack Baby Shower Diaper Raffle Tickets – Easy to include in with your invitations and hand out to guests at the shower – every pack of diapers gets guests one entry in the raffle! 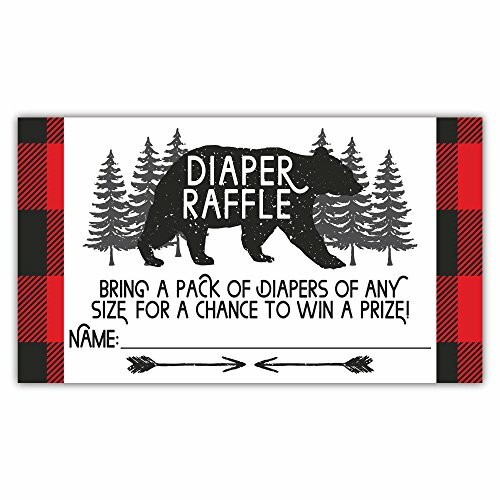 Hosting a diaper raffle drawing is a quick and easy way to get guests interacting and having fun! Guests love being able to bring diapers for the new little one knowing that they are helping mom-to-be stock up on some much needed staples!